Small, smooth-shelled, blackish turtles with yellow-orange spots. These turtles average shell lengths of 3.5 to 5 inches and weights of 1/2 to 3/4 of a pound. Marshy meadows, springs, wet woodlands, boggy areas, beaver ponds and shallow muddy-bottomed streams. Aquatic insects, plants, mollusks and occasionally frogs and small fish. 26 years (confirmed); 50 years (estimated). Three to four (1-inch long) eggs are normally laid in June and hatch within 2 to 3 months. No parental care exists. The young are “on their own” once they hatch. These turtles mature at 8 to 10 years of age. This turtle’s small size and secretive habits make population numbers difficult to estimate. Overall, their numbers appear to be declining due to habitat loss and high sensitivity to pollution. This species is closely monitored in Connecticut and other states to protect its numbers. 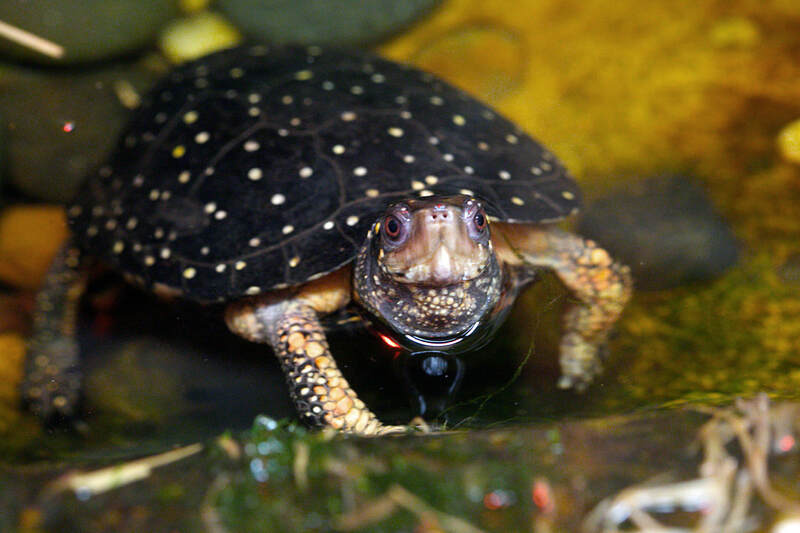 ​The Spotted Turtle is an exceptional reptile that actually prefers cooler temperatures. Unlike other turtles, they will burrow underground or into cool mud to escape hot summer temperatures. 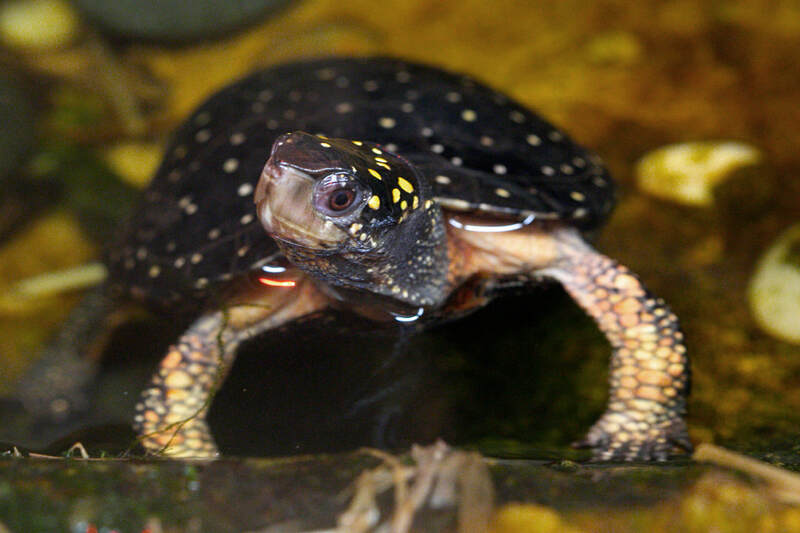 Connecticut’s Beardsley Zoo has one male and one female Spotted Turtle. These animals are on exhibit seasonally in the Connecticut Reptile and Amphibian House located in the Zoo’s New England Farmyard. Look for them during the warm weather.